Is Lionel Messi the greatest ever to play the game of football? La Liga legend and former Barcelona and Atletico Madrid striker David Villa was recently quizzed by Reuters about who according to him was the greatest player ever to play the game. David Villa now plies his trade in the Japanese League with former Barcelona and Spanish teammate Andreas Iniesta after moving to Vissel Kobe during the winter transfer window after having spent 4 seasons in the MLS with New York City. One of the greatest strikers ever to play in the La Liga, David Villa was recently quizzed about the who according to him was the greatest ever player to play the game of football. 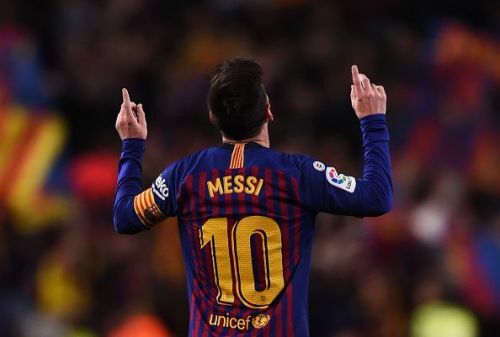 According to a report by Marca, the Spanish icon reportedly told Reuters that he believes his former Barcelona teammate and Argentina star is the greatest ever. The World Cup winner was quick to clarify why he picked the Argentine magician ahead of the many big names in football like Pele, Johan Cruyff and Argentina's own Diego Maradona. Obviously with the likes of Pele, Diego Maradona and Johan Cruyff, I didn't have the chance to watch them like I used to see Messi every day, in every game," he added. Vissel Kobe will travel to the Saitama Stadium as they Uruwa Reds on Saturday while Villa's former team Barcelona will be hosting Manchester United at the Camp Nou in the second leg of the UEFA Champions League quarterfinals after holding a slender 1-0 lead after the first leg.